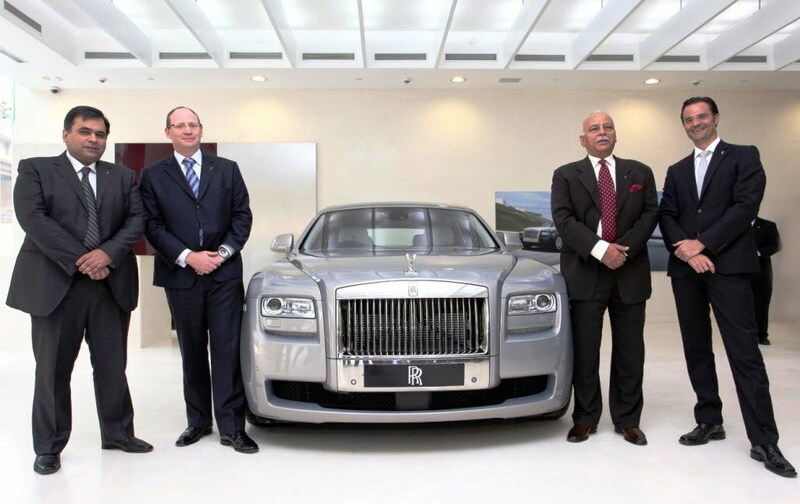 On 11 Nov 2011, Rolls Royce launches it Rolls Royce Ghost with extended wheelbase in New Delhi India at its new larger 702 Sq. Meter dealership in New Delhi. 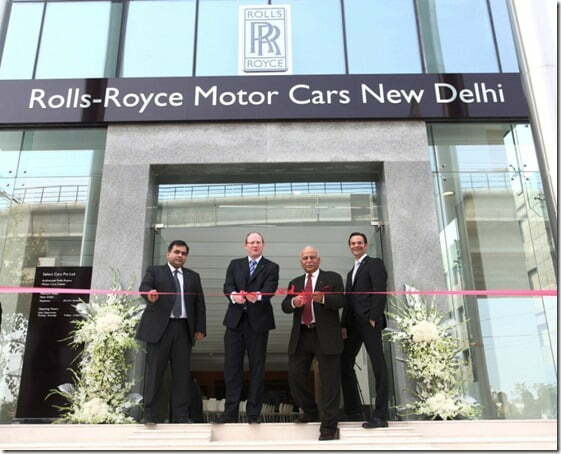 Ghost Extended Wheelbase, the sixth new Rolls-Royce model made its New Delhi debut at the showroom opening. Rolls Royce Ghost combines segment leading cabin space with the driver dynamic that has endeared so many to Ghost. Rear-cabin passengers will have 170mm more room than the already ample space Ghost owners enjoy. A panoramic sunroof as standard bathes the cabin in natural light contributing to an ambience that exudes lavish comfort and serenity. Sumptuous lambs-wool carpets and multimedia theatre-configuration, both as standard enhance the super-luxurious feel of the car. Beautiful Malabar wood, sourced from Kerala in the South of India is one of an array of ethically sourced, hand built wood packages available. 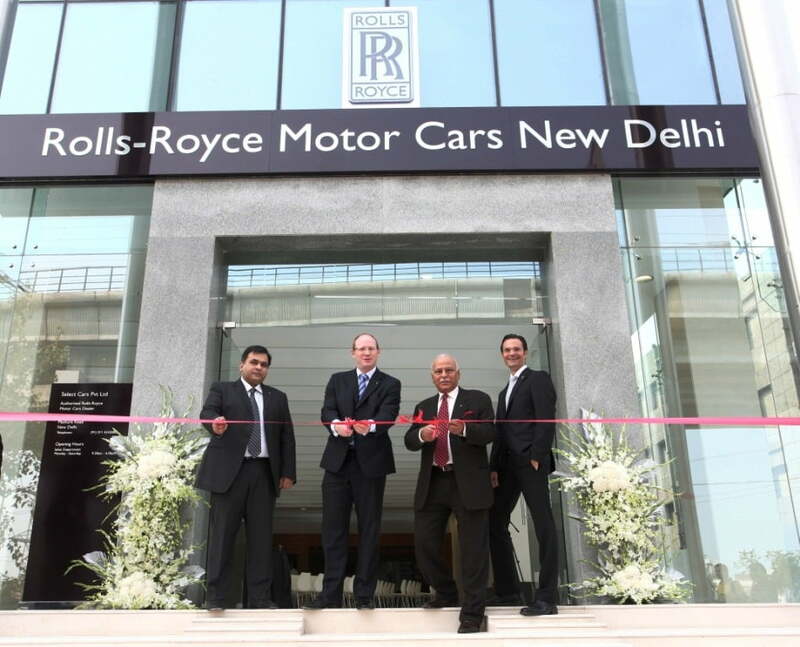 The previous dealership of Rolls Royce In Delhi was located at Shangri La Hotel, Ashoka Road,New Delhi, but it was a smaller space. The new 702 sq.m facility, which replaces the retail space at Connaught Road, has room to showcase up to five cars. 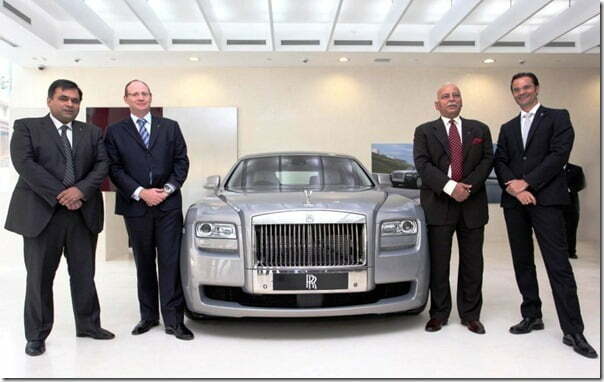 It also boasts interior and customer lounge specifications to the latest Rolls-Royce global standards. These features will present clients with a refined and private setting in which to configure their cars. The lounge is fully equipped with the latest wood and leather samples from the Home of Rolls-Royce in Goodwood, England allowing customers to commission the Bespoke department to create cars as unique as their own fingerprints.